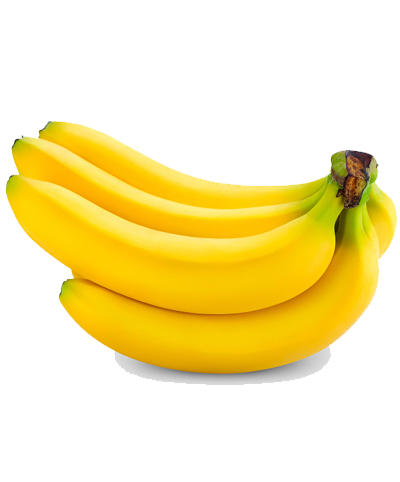 Banana is a perennial herbaceous plant that grows from the underground rhizome. It flourishes well under tropical, moisture-rich, humid, low-lying farmlands. Banana has unique growth characteristics. In fact, the whole plant is a false stem (pseudostem). This pseudostem is consisting of broad leaves, together with their long petioles, overlapping each other in a disc-like fashion. The whole plant may reach 2 to 6 meters in height from the ground surface depending upon the cultivar types. At maturity, the rhizome gives rise to a flower (inflorescence) which is carried up along actual (true) core stem (smooth un-branched stem) which pass through the center of the pseudostem. The flower finally emerges out at the top in-between leaf clusters. The inflorescence subsequently develops to a large hanging bunch, consisting of 3 to 20 hands (tiers of fruit), with each hand carrying at least 5-10 fingers (fruits). Also contains a trace amount of other minerals. FRESH PRODUCE SHOPPE is just a phone call away.